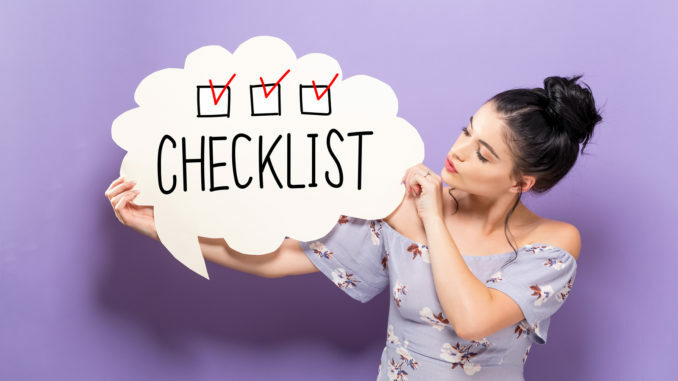 If you are looking to start an online business, here is a checklist that you can follow to insure that everything runs relatively smoothly in the beginning. Decide what you will sell: Make sure to sell something is in demand. The last thing you want is to attempt to sell something in an overly saturated market. Research what permits may be needed: In many jurisdictions, you may have to register with local county or city if you open up an online business. If you plan to sell apparel, you may need a retail license. Establish a budget: How much will you need for rent? Inventory? Employees? Business cards? Research Potential Vendors: If you are looking to provide a product to the consumer, you may want to look for wholesalers online or in your local community. You may want to take a trip to a place like Los Angeles or New York, which have large wholesale districts. Make a marketing plan: How will you promote your business? In some cases, many business owners will take out ads in newspapers. However, most online business owners have utilized social media sites such as Twitter, Facebook, Instagram to promote their business. Investigate other online platforms to sell your products: Do you have an eBay, Etsy, or Amazon account? Many online businesses begin by selling on these particular sites. Open a bank account online: You may want to go through a traditional bank, or open an account through Paypal.